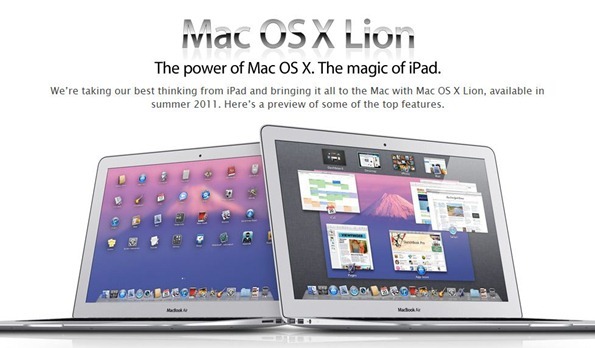 Not a registered Mac developer but still want to see some of the new features of OS X 10.7 Lion in action? The guys over at RazorianFly have spied a couple of YouTube videos of the new developer build, running on what appears to be some sort of MacBook Pro. The two videos show new toys such as Launchpad as well as the new Finder. The iOS rubber-band affect is in full effect too, with lists in Finder acting just like they do in iOS devices, which adds a certain something to boring lists of files! Also worth noting is how fluid the interface is already. Considering this is the first build to come out of Cupertino, it is impressive just how well Lion runs on the existing hardware. It certainly bodes well for a nice, slick OS when 10.7 ships. Hit the videos for the scoop if like us, you just can’t wait until the next of the big cats arrives in stores this Summer.